« The battle to save our ‘Skydancers’. The UK’s most common tick-borne disease could be eradicated if pheasants were not reared in artificially high numbers for shooting, zoologists at Oxford University have said. Pheasants, sheep, squirrels and other small rodents carry ticks, but pheasants carry the bacteria that cause Lyme disease. They pass it on to the ticks, which feed on their blood, who in turn can pass it on to humans. The disease can cause paralysis and inflammation of the brain. A study by Oxford University’s Tick Research Group suggested that a reduction in the number of pheasants in the environment – a population artificially enlarged for game shooting – would wipe out the disease in the UK. Ticks carry various strains of Borrelia bacteria, but one in particular – Borrelia garinii – is responsible for Lyme disease. However, for the bacteria to persist there must be high numbers of both infected birds and ticks. Dr Klaus Kurtenbach, who led the study, told BBC News Online: “Pheasants are important for one reason – they are highly competent at spreading one particular strain of Borrelia. “Sheep do not develop the disease so they do not infect the tick. He said 20 million specially bred pheasants were released into the UK countryside for shooting each year, but without this artificial rearing Lyme disease would disappear within a year. 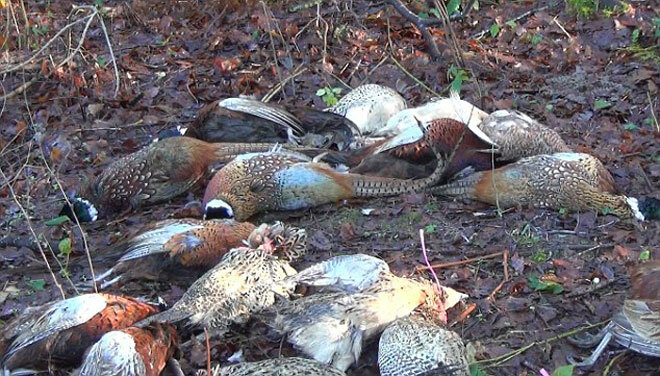 “These pheasants do a good job of spreading the disease,” he said. About 20% of humans who are infected go on to develop symptoms. Most are mild, although severe cases can lead to paralysis -especially of the face – or arthritis. A tiny fraction of cases the infection can result in encephalitis – inflammation of the brain – but this is uncommon. “Basically, the more severe the symptoms, the rarer the incidence,” Dr Kurtenbach said. Although the scale of the problems caused by the disease is difficult to assess – because cases do not have to be reported in the UK – understanding how it spreads can help prevention. 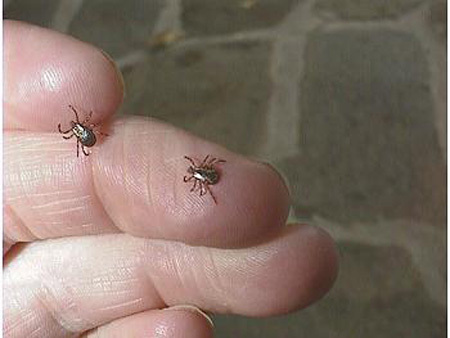 “Lyme disease is wicked – the onset of the disease might be up to a year later, so it is difficult to diagnose – many cases are misdiagnosed and we have no real figures for the incidence in the UK,” Dr Kurtenbach said. But Jeffrey Olstead, of the British Association for Shooting and Conservation, said other scientists had disputed Dr Kurtenbach’s findings, and that anecdotal evidence suggested pheasants were unlikely to be the villains. “If anyone is at risk it will be the gamekeeper, who is walking among pheasants every day,” he told BBC News Online. “But although we have more than 5,000 gamekeepers among our membership we have never heard of a single case of a keeper contracting Lyme disease from pheasants. Dr Stephen Tapper of the Game Conservancy Trust – which conducts research on gamebirds and other wildlife – also disagreed with Dr Kurtenbach’s position. “It has not been clearly established that the avian form of the disease is the most prevalent. Other forms which give arthritic and cutaneous symptoms are more widely reported,” he said. And he said other researchers in the field had disassociated themselves from Dr Kurtenbach’s views. Dr Kurtenbach presented the findings at the British Veterinary Congress in Bath and his talk was reported in New Scientist magazine. This interesting article was first published by the BBC in October 1999, but the argument remains valid today. Yes but how many have Arthritis which is caused by the disease! !